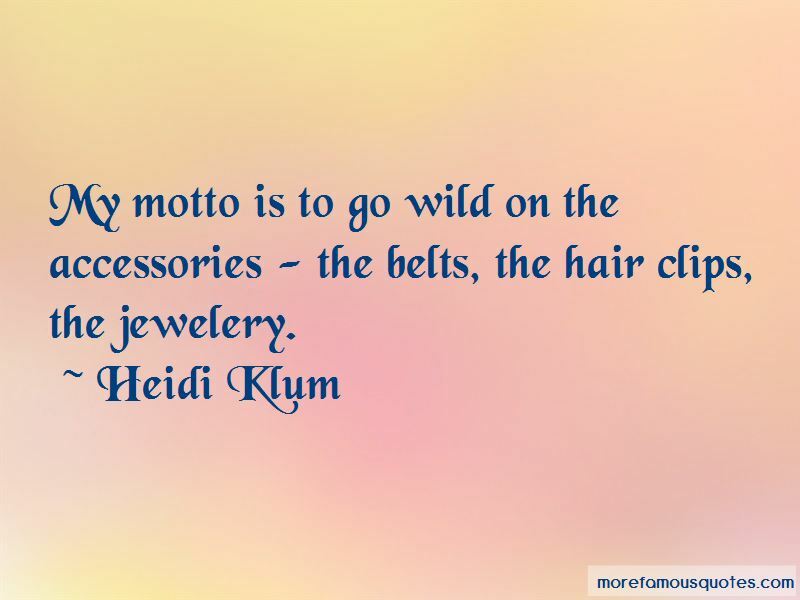 Enjoy the top 163 famous quotes, sayings and quotations by Heidi Klum. I need my products to work and be fast! I don't love having 50 different things in my bathroom, like a different cream for every inch of my face. That's so not me. I come from a place where we're not that shy about our bodies. It's important to keep a balanced diet, but I'm not a fan of deprivation. If I want a cheeseburger, I am not only going to eat that cheeseburger, but I'm going to enjoy that cheeseburger. I learned not to go in the sun early on in my career. A tan lasts for a week or two before it fades, and the sun is so damaging-it's not worth it. I put sunscreen on my kids every day before school and before they play outside. They know the routine. 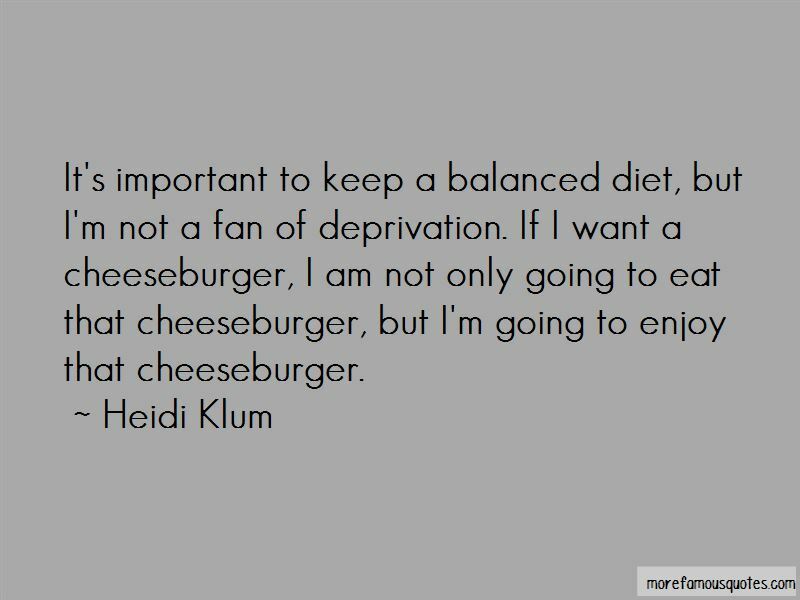 Want to see more pictures of Heidi Klum quotes? 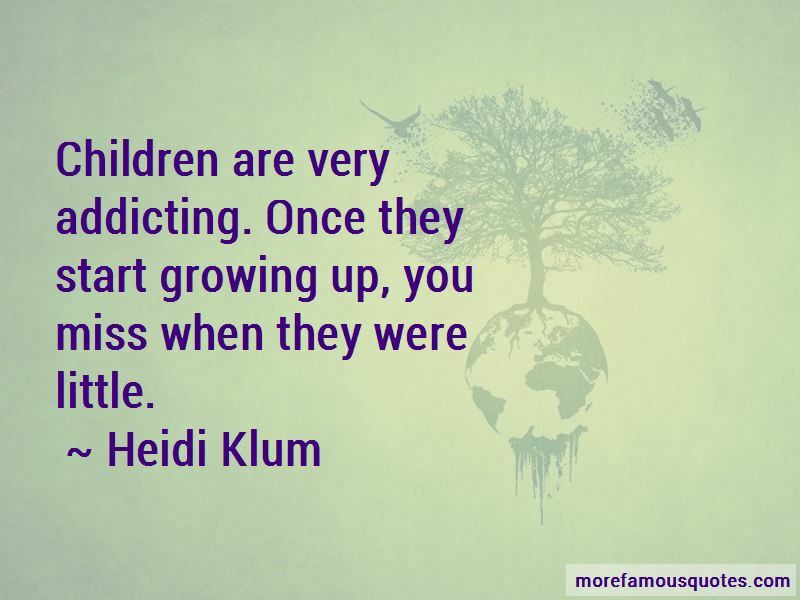 Click on image of Heidi Klum quotes to view full size.